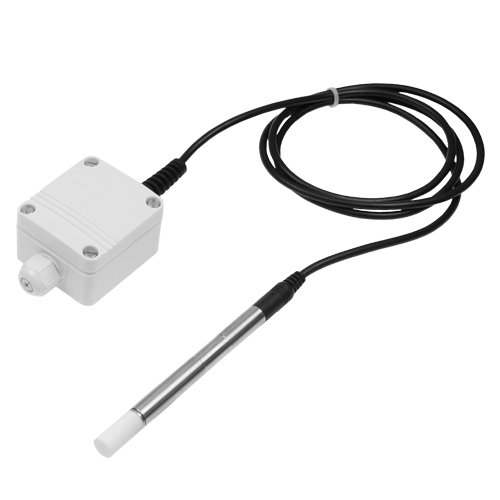 High-quality and precise humidity / temperature sensor with integrated measuring transducer (output 0-10V) suitable for building automation, drying and air-conditioning technology (HVAC), outdoor or industrial applications. In the industrial and building automation high-quality and favourable probes are needed, which are suited for continuous use and protected against over voltage and transients. Further advantages are the high long-term stability and a good measuring accuracy in the application. The B+B temperature and humidity probes are developed especially for this types of applications and can be used in various areas due to the modern sensor technology.